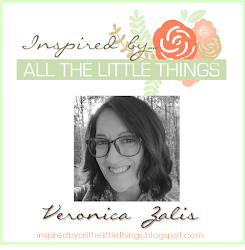 Hello, Veronica here and welcome to Inspired By All The Little Things! 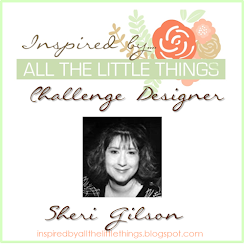 This is a bi-weekly inspiration challenge blog and each month we feature a wonderful designer who inspires us as an artist! I adore Erica's style, and her attention to detail. 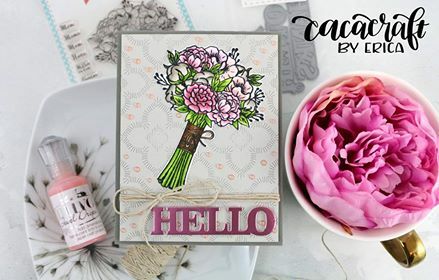 I'm so excited that she is our May guest designer! 1. 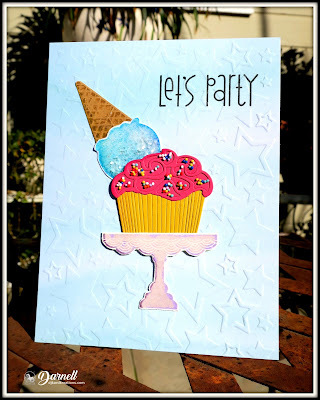 My blog is called CaCaCraft and is a play on my name and my love of cookies. In my native Swedish cookie is ‘kaka’ and it sounds the same as ‘caca’. Some of my friends started calling me Ca-Ca and it just stuck I started it in Nov last year when I was asked to be a guest designer for Altenew. Seemed like a good time, not to mention great incentive, to start a blog as I had been thinking about it for a while. 2. 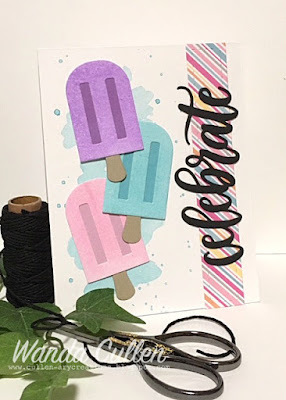 I love making cards with textures, layers and colours but I don’t really have just one style. It really depends on my mood and what I decide to use that day. 3. 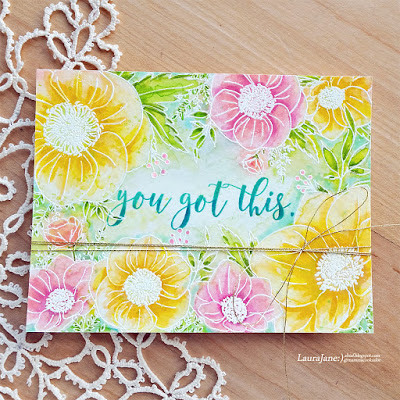 Florals are always inspiring to me. I used to work as a florist and I loved it! 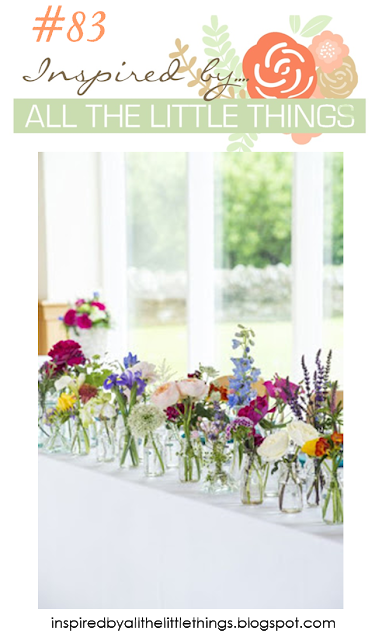 The inspiration Photo is so pretty and feminine with fantastic colours and textures, what’s not to love?? 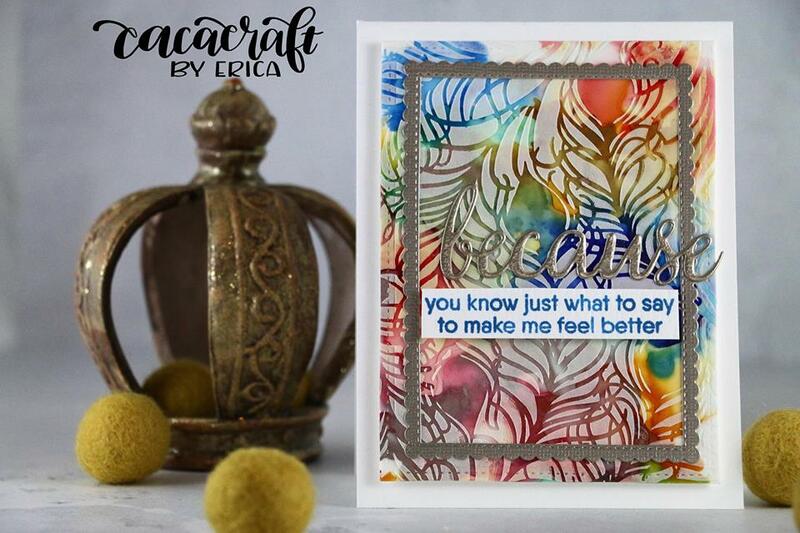 Here is Erica's card using this week's inspiration! 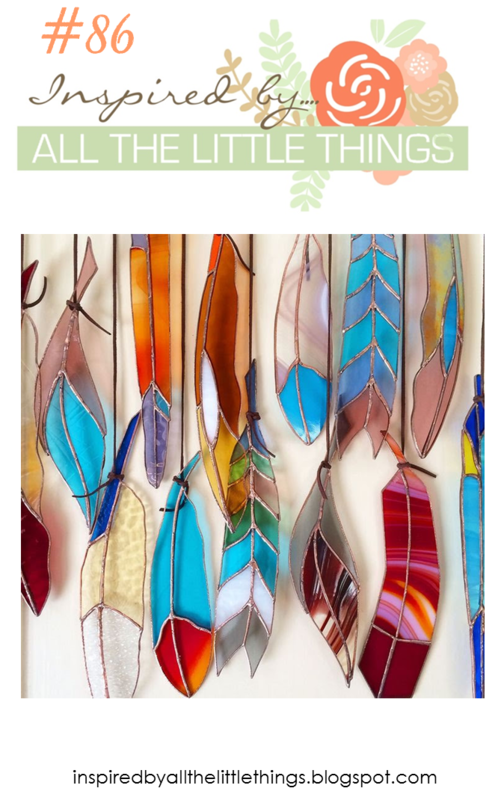 The different colours in the inspiration photo inspired me to think beyond the glass in each feather, almost back to the melting pot so to say. I tried conveying that in my card by using alcohol inks for a fluid background. 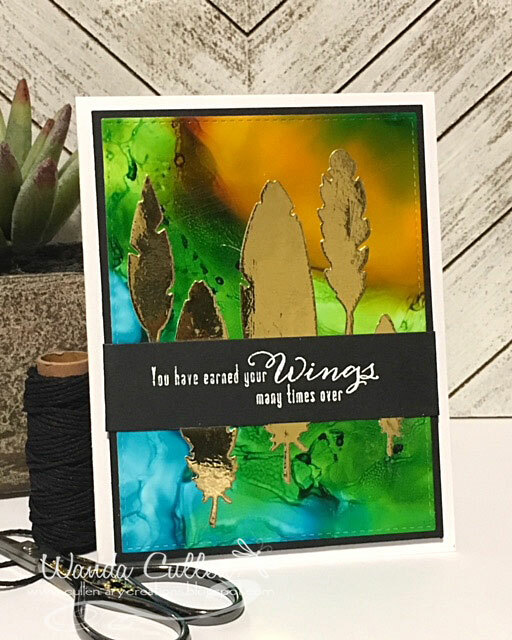 I was inspired by the beautiful stained glass feathers. 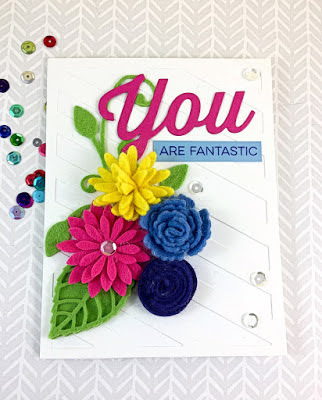 The challenge designers have also created a card for this week's inspiration! These ladies just inspire me SO much!!! I hope you will play along with us this week! We would love to have you join us! Kim was inspired by the feathers and beautiful colors. Leigh was inspired by how the feathers were hung, as well as their fun colours. 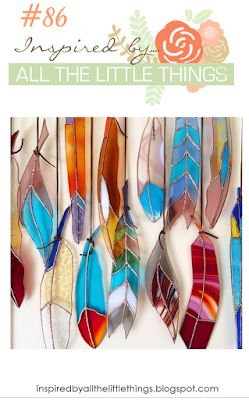 Marcie was inspired by the colours, the metal details and the mosaic look of the feathers. 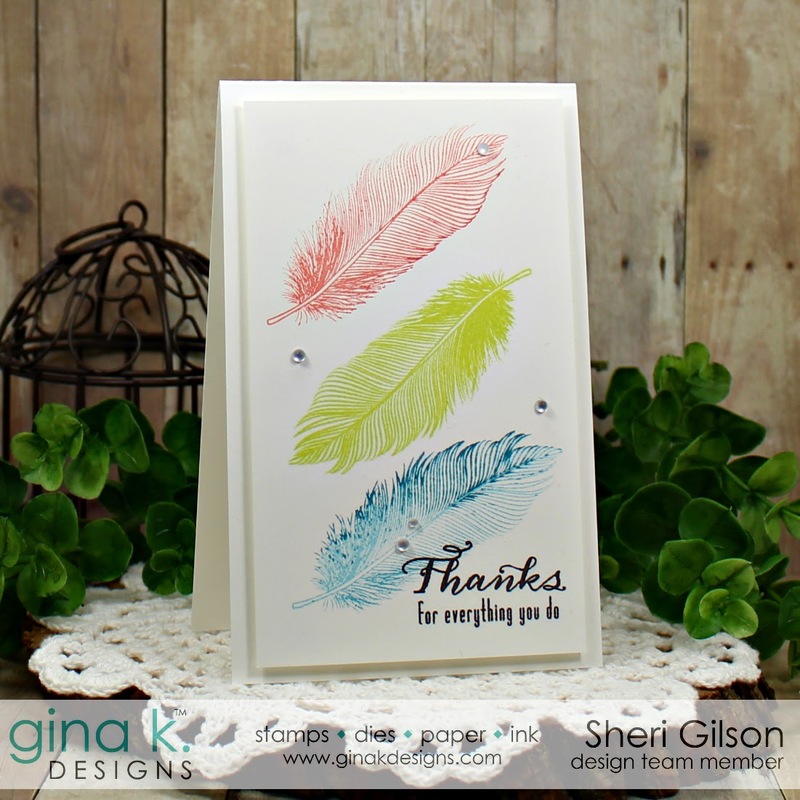 Sheri was inspired by the feathers and rich colors. 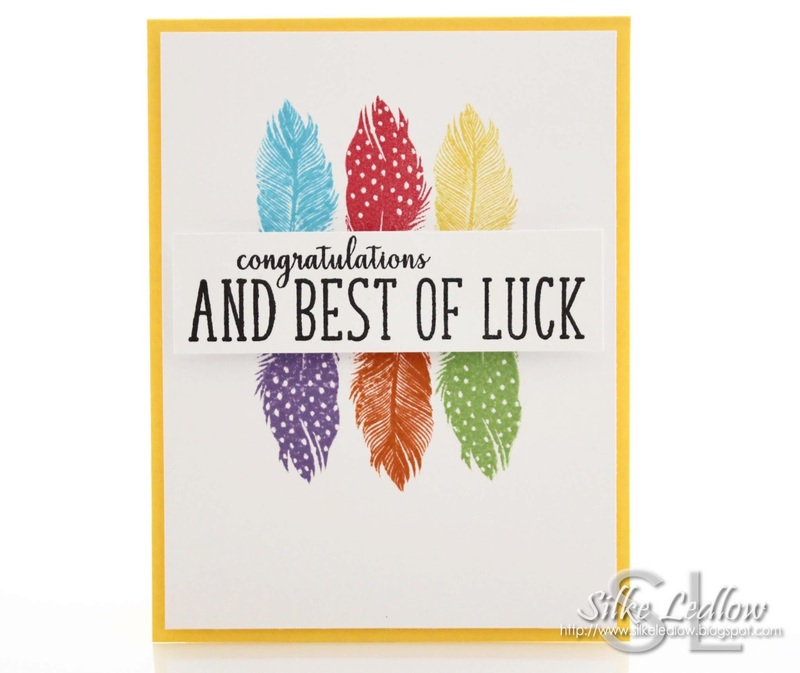 Silke was inspired by the feathers and the fun multicolors colors. 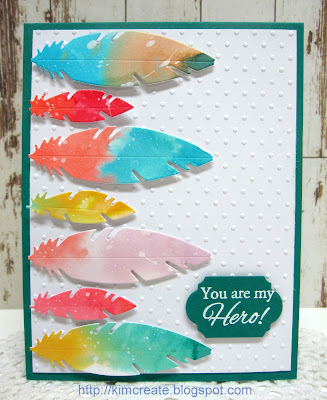 The vivid colors and hint of gold in the feathers were Wanda's inspiration. 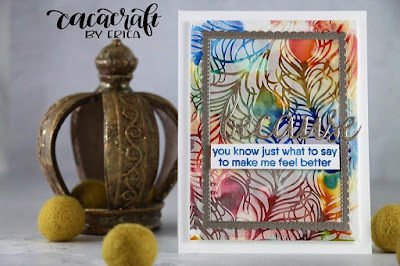 Erica - The inspiration picture talked to me on so many levels; the colours, the flowers, the textures and the layout. I adore everything about it and felt inspiration right off the bat! The card came together in my head quickly and turned out just as I envisioned. Here is the card I created for this weeks challenge! 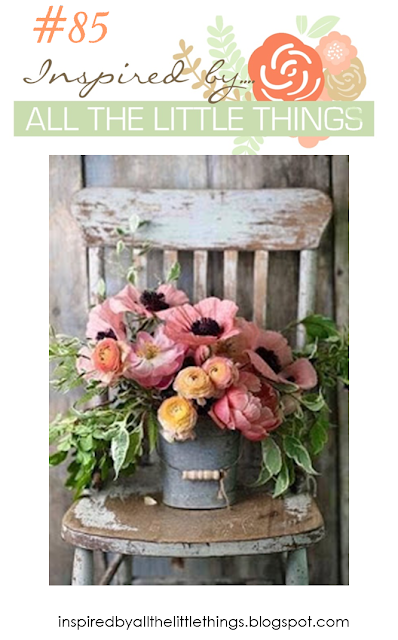 I was inspired by the colors of the flowers, the wood grain, and the tin/metal pail. 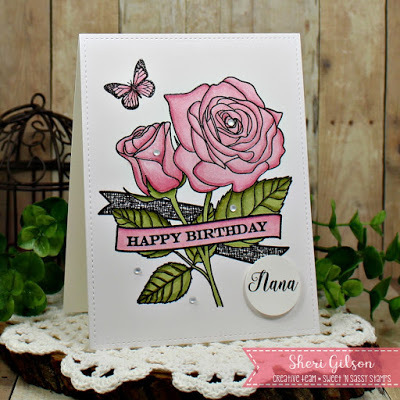 The challenge designers have also created a card for this week's inspiration! They knocked it out of the park! I hope you will play along with us this week! We would love to have you join us! 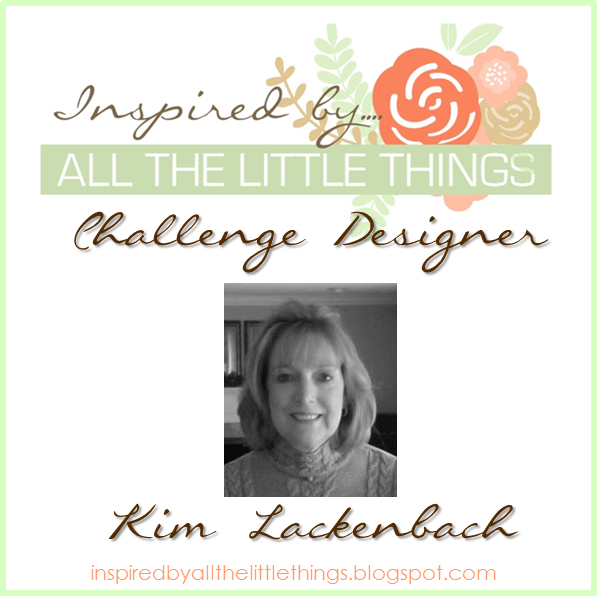 Kim was inspired by the beautiful flowers and the wood. 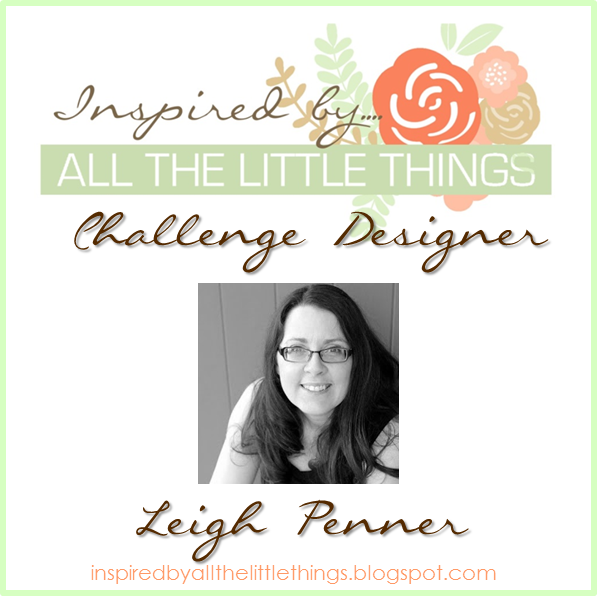 Leigh was inspired by the flowers in the bucket and the weathered chair. 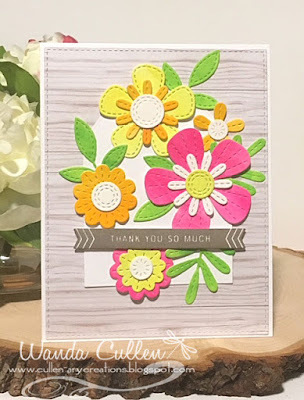 Marcie was inspired by the woodgrain and the beautiful blooms. 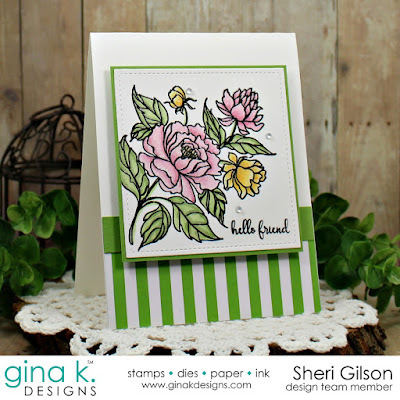 Sheri was inspired by the beautiful bucket of flowers. 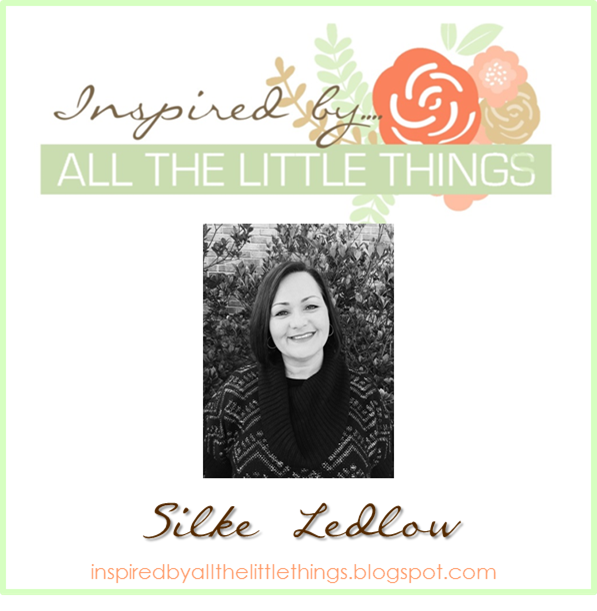 Silke was inspired by the bucket of flowers. 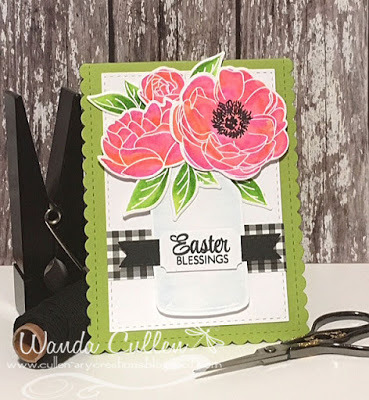 Wanda got her inspiration from the woodgrain background and pop of floral colors. 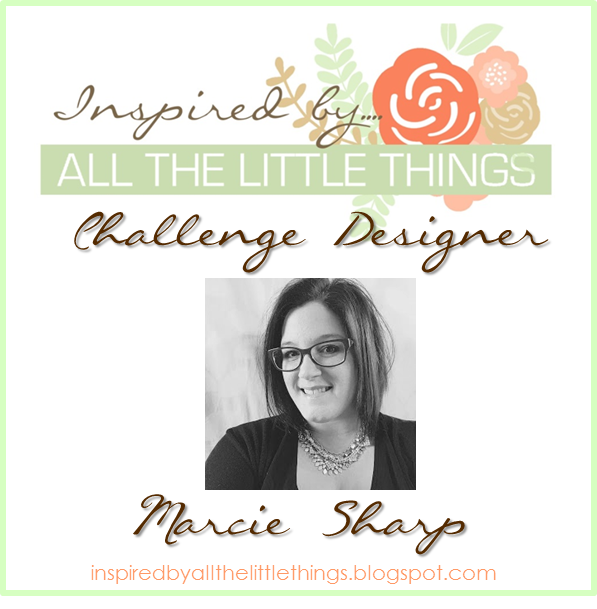 Inspired By All the Little Things challenge #84! We loved seeing how you were inspired in all of your creative projects! I would like to thank Cat Craig for being our Creative Guest! 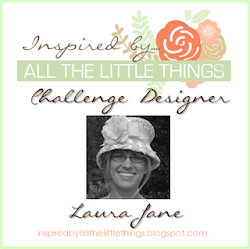 a special Inspiring Stand Out badge for this challenge! 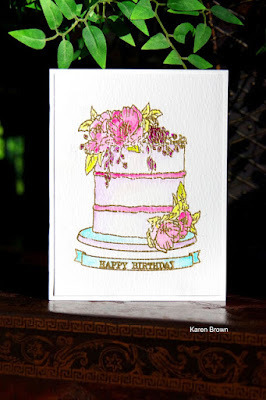 Karen's card is sweet, festive, and elegant! And just like the inspiration photo, it made me want to take a bite! 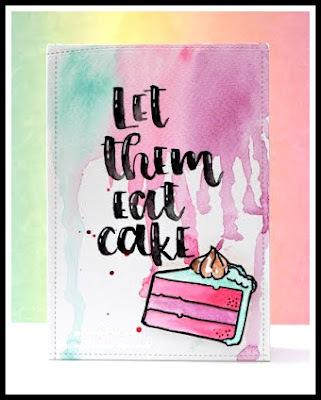 I love Karola's take on the photo inspiration with her gorgeous watercolor paint drips and deliciously colored cake! I am also impressed with her handwriting skills! Please go ahead and display the badge on your blogs! 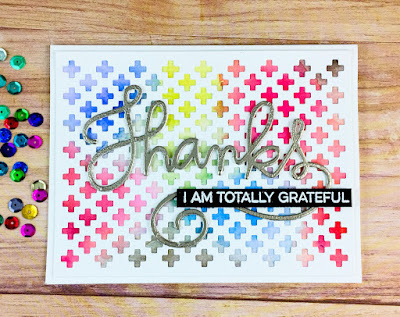 Thank you again to everyone who played along with us this week! 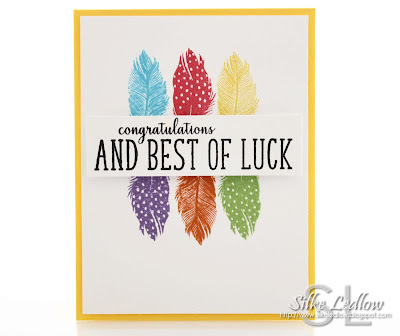 All the entries were lovely! We will be back in one hour with a brand new challenge at 5:00 AM PST. 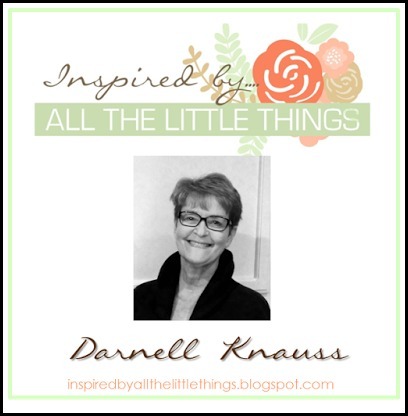 Hello, Darnell here to welcome you to Inspired By All The Little Things for the second half of April. 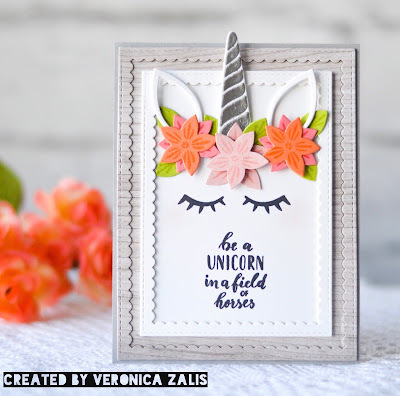 This is a bi-weekly inspiration challenge blog and each month we feature a wonderful designer who inspires us as an artist! Here's is our photo inspiration for this challenge! SO many ways to be inspired by this delicious photo in pretty spring colors! and by those gold cherries! The designers have also created cards for this two-week inspiration challenge! These ladies just inspire me SO much!!! 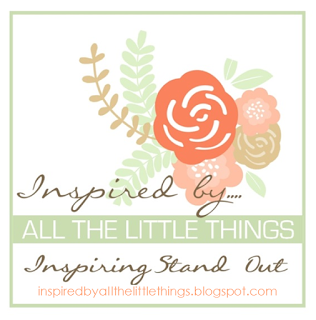 We would love to have you join us and tell us what "little thing" inspired your design! 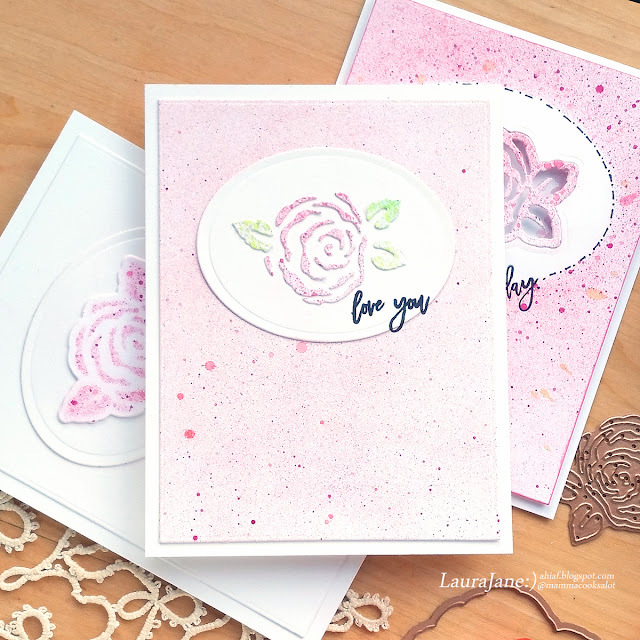 LauraJane was inspired by all the Layers of SWEETNESS! and how they blended together. 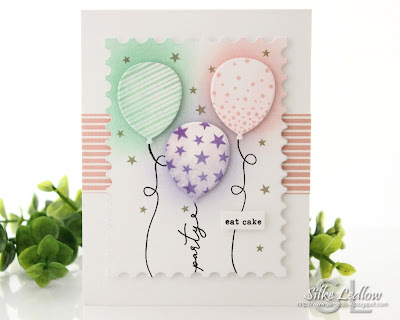 Marcie was inspired by the cone at the top of the cake, and the color scheme. 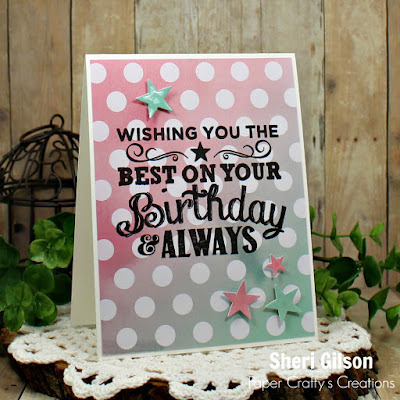 Sheri was inspired by the cake colors and birthday theme. 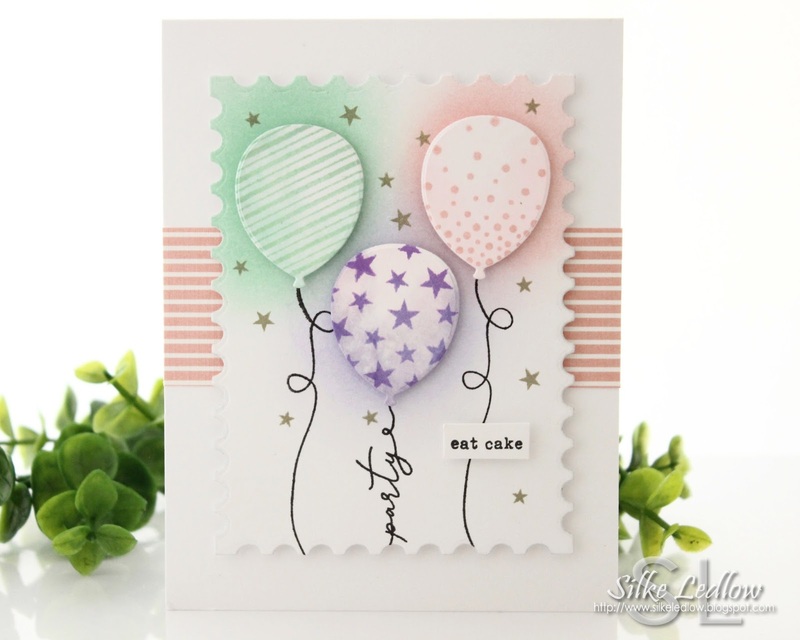 Silke was inspired by the party theme, the stars on the cake, and the fun colors. Wanda was inspired by the colors and free-flowing icing and confetti. 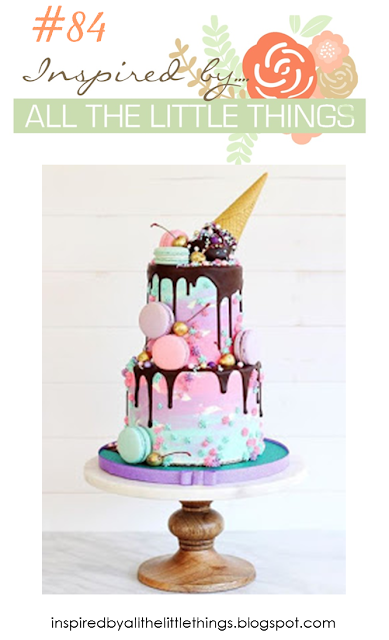 I was inspired by the overall composition of the party cake and cone! 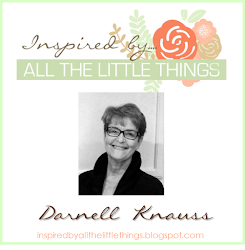 Inspired By All the Little Things challenge #83! 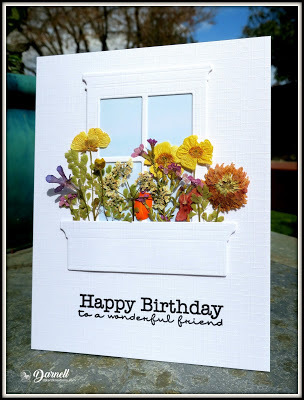 The line of flowers against the bright sunlight filled windows in the inspiration photo is for me wonderfully represented in Betty's fabulous card. It is airy and light with the colored vellum flowers and all that clean white space. photo inspiration unique and fresh by moving her flowers outdoors! 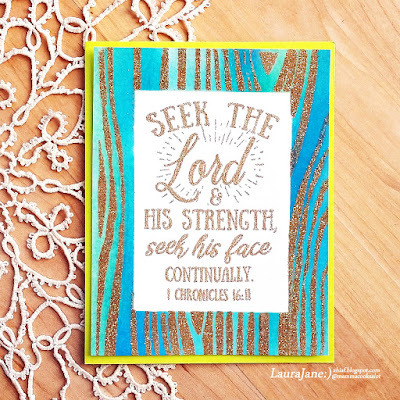 and the first challenge for the month of April! we feature a wonderful designer who inspires us as an artist! 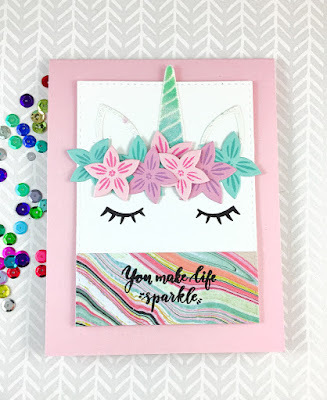 of Cat Luvs Paper to join us for the month of April! 1. When and why did you start your blog? I started it in 2012 after I began playing in the Hero Arts scrambles over at Flickr. 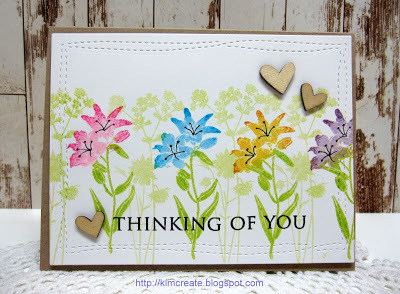 All the group were so kind and encouraging of my efforts, I decided to get out and share my cards with a wider audience. 2. 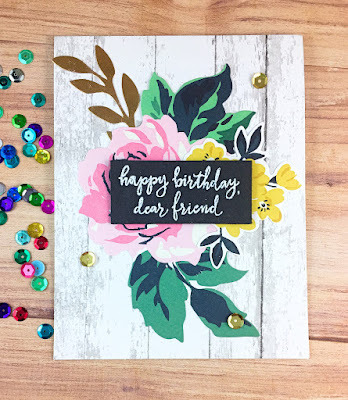 What is your style of card making? 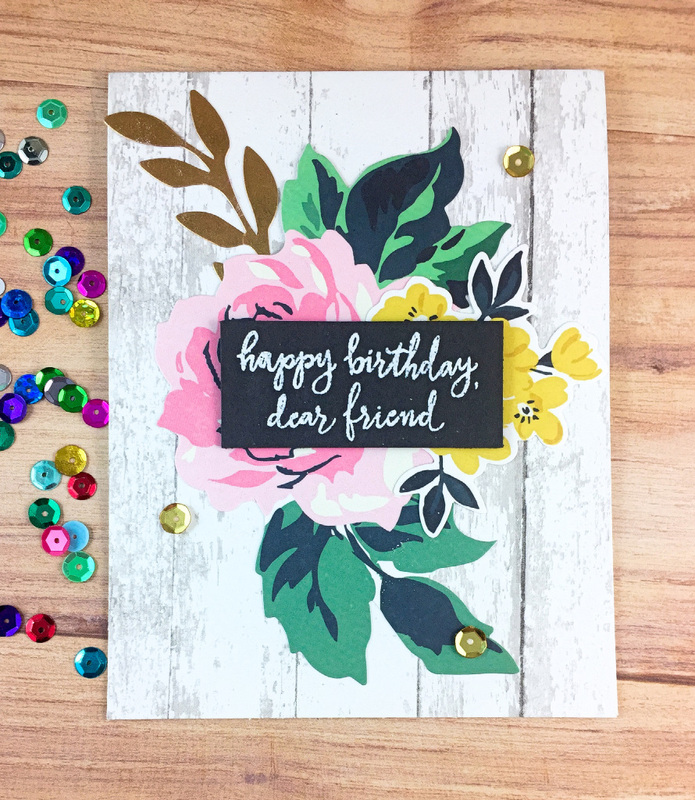 My card style is mostly clean and simple these days. I might go to clean and layered too. They are a lot less fussy than when I first began making cards. 3. 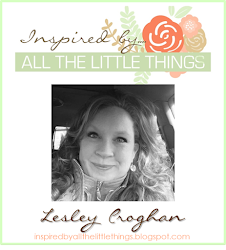 What "little thing" inspired you about this week's photo? 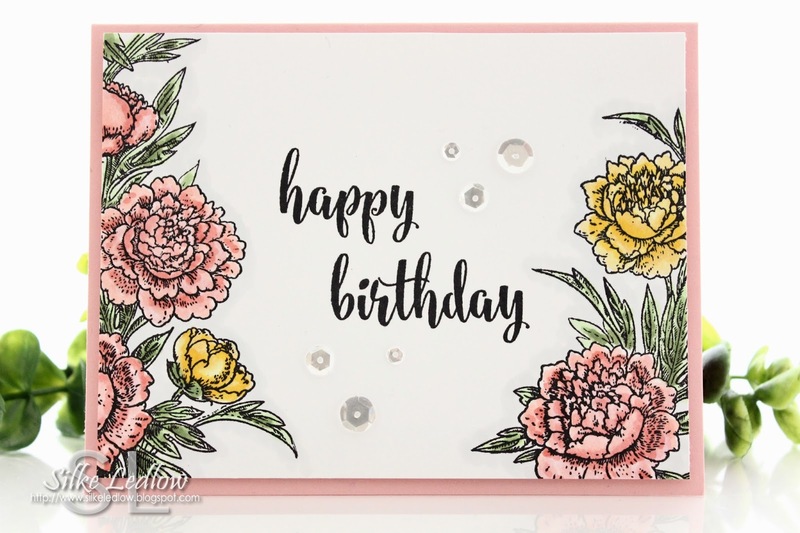 I was inspired by the line of flowers in both bold and soft colors. The photo immediately reminded me of the Hero Arts Tall Flowers stamp. 4. Tell us something about yourself that we may not know? 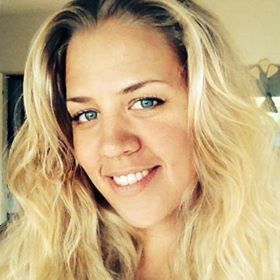 I met my husband of almost 10 years, fourteen years ago when we both played Texas Holdem poker online at Pogo.com. He was always cracking me up with his comments in the chat box … and he was a very good poker player. I lived in California at the time and he lived in Maryland. I cannot imagine that we would have met without that game site. My Dad is the reason I played the poker game and he claims full credit for hubs and I meeting each other. The challenge designers have also created a card for this week's inspiration! These ladies just inspire me SO much!!! 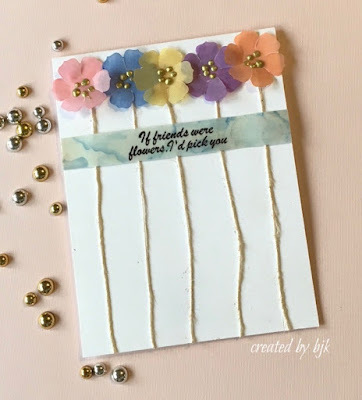 and tried to recreate the flowers in a line. LauraJane was inspired by the line of blooms and the pop of blue. 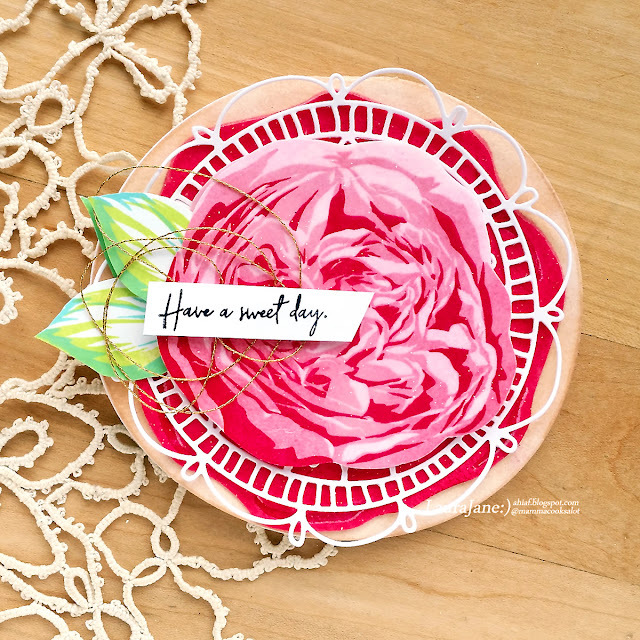 Leigh was inspired by the soft pink roses in the jar in the middle of the photo. Marcie was inspired by the springtime feel of the colorful florals. Sheri was inspired by the beautiful roses in the inspiration photo. 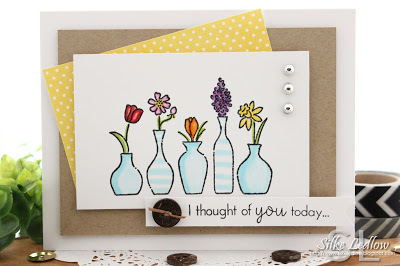 Silke was inspired by the flower jars and the colors. 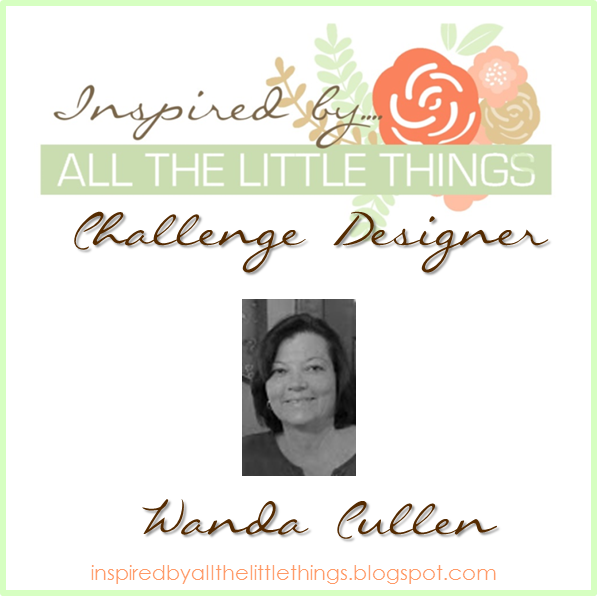 Wanda was inspired by the glass jars and flowers. 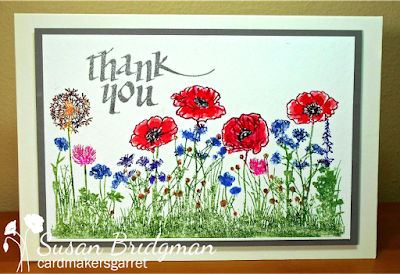 I was inspired by the pretty wildflowers on the windowsill.